Filmed on five continents over four years, This Changes Everything is an epic attempt to re-imagine the vast challenge of climate change. 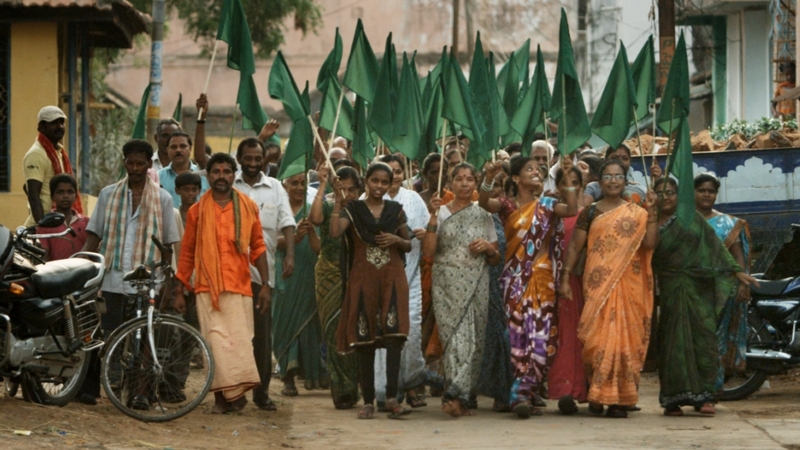 Inspired by Naomi Klein’s latest bestselling book This Changes Everything, Avi Lewis´ film presents seven powerful portraits of communities on the front lines, from Montana’s Powder River Basin to the Alberta Tar Sands, from the coast of South India to Beijing and beyond. The extraordinary detail and richness of the cinematography in This Changes Everything provides an epic canvas for this exploration of the greatest challenge of our time. Unlike many works about the climate crisis, this is not a film that tries to scare the audience into action: it aims to empower. Provocative, compelling, and accessible, This Changes Everything will leave you refreshed and inspired, reflecting on the ties between us, the kind of lives we really want, and why the climate crisis is at the centre of it all.